By now some of you will be throwing fiery objects at an effegy you’ve quickly created in my image whilst screaming all kinds of langage at my seemingly inaccurate statement, but there is truth in it. I promise. So just put out the fire, wipe you monitor clean of saliva, sit down and relax. I’ll explain why. Halo: Combat Evolved threw us into the heart of a war that, according to the storyline, had been raging for years. Twenty seven years to be exact. And in that time, colony after colony had fallen to the Covenant and millions had gave their lives in the hope that humanity as a species would survive. But the future was a far cry from rosey. We were losing. But all of this was, to be honest, irrelevant. What was still happening on Reach or any of the other colonies was of little consequence to our adventure. For all intents and purpose, it was the first time we had encountered the various client species of the Covenant. Any previous information that we had digested which pertained to the background of Halo before Combat Evolved was simply there to inform us, and this includes the Fall of Reach novel by Eric Nylund. We saw nothing of Linda, for instance, when thawing out on board the Pillar of Autumn. But this isn’t a bad thing. It simply wasn’t relevant. There was no need for us to know of the inner workings of the Covenant or how they had systematically wiped humanity from the face of nearly every colony they encountered. Combat Evolved was the beginning of the story. For the Halo universe, and despite the later release of Halo Wars, it was genesis. So learning all of the aforementioned information and backstory would simply have overwhelmed the majority of us. So we took things one step at a time and gradually absorbed the enormity of the events in Combat Evolved, including the existence of the Forerunners, the purpose of Halo and the emergence of the terrifying and relentless Flood. We then fought and won. But even as we slowly drifted from the remains of the shattered Forerunner structure, I’m sure many of us realised that it was far from over. Butlins was certainly impressive, but the food was terrible. Though we had stopped the Covenant from acquiring or activating Alpha Halo we still needed to win the war. And this was something that I was very much looking forward to. Because even though the Chief’s mission on Halo was important I still felt significantly detatched from the war effort. So I was eager to jump back into the fold and help out my fellow human. And eventually I got my wish. When the details of Halo 2 were announced, I realised that I would, at last, be coming home to “Mother Earth”. I would now have the opportunity to fight for her. Fight on my home turf. But when it came to playing it I thought different. I loved the defence of Cairo Station and the close quarter battles in the streets of Mombassa, but then, WTF? I’m now the Arbiter. Where the hell did this come from? What I failed to realise, at first, was the gravity of the situation and the opportunity that was in front of me. I could now see what made the Covenant tick and witness the first hints of division among a seemingly unstoppable war machine that was now so close to winning. I saw hope. But there was more. Halo 2 provided other things as well, big reveals. Just like The Empire Strikes Back did with Star Wars, our second outing in Halo showed a universe about to fall on its head. We were now defending a major stronghold, the Covenant were here in force, we got to board and fight on a Scarab for the first time, saw the religious centre of the Covenant, a second Halo, division and betrayal among our enemy, new species in the Covenant and for the first time the controlling intelligence behind the Flood. The Halo 2 storyline was huge. It explained and solved some issues from Combat Evolved and laid the foundation for both Halo 3 and ODST. But its sizeable storyline and the importance of it also became a back-breaking hinderance. Bungie were severly pushed for time. Microsoft wanted the sequel out there, making money. And who could blame them? Combat Evolved had set the presidence for console gaming and first-person shooters as a whole, and was clearly a juicy apple, ripe for picking. In comparrison to Combat Evolved, the production of Halo 2 was a bit of a train wreck. Problems with the graphics engine proved to be a serious time consuming element of the games’ development as it had to be ripped out and redesigned. And after a year of development, Bungie were still without a playable build of the game and the clock was ticking. In an effort to finish the game, everyone at Bungie embarked on an insane crunch period, working round the clock. Some employee’s even spent several days at work, sacrificing personal and family time to meet the approaching deadline. And along the way there were a number of casualties. 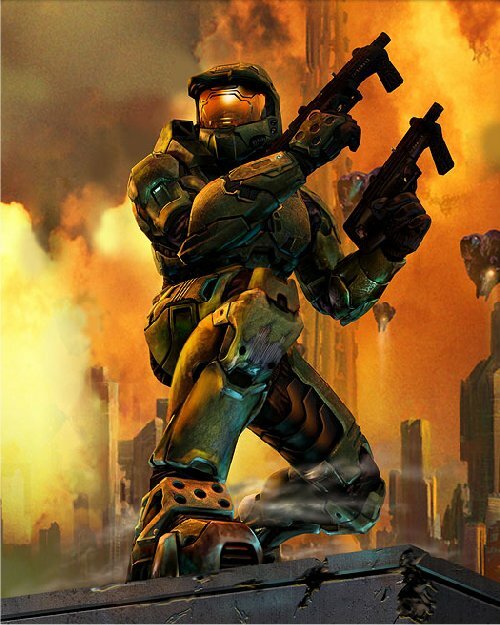 The game was meant to be longer and the Chief was supposed to return to Earth so that the player could spend the final level of Halo 2 in his boots. Instead, we were provided with a closing and angonisingly frustrating cut scene that hinted to a possible follow up. But despite this, I still maintain that Halo 2 was a masterful piece of storytelling. The Elites went from the murderous and unthinking enemy in Combat Evolved to a species with its own issues and a lot a stake. And an enemy needs that. I don’t want a powerful adversary who just blasts everything away without a second thought, I like an enemy to think its way through combat. I like them to have character. 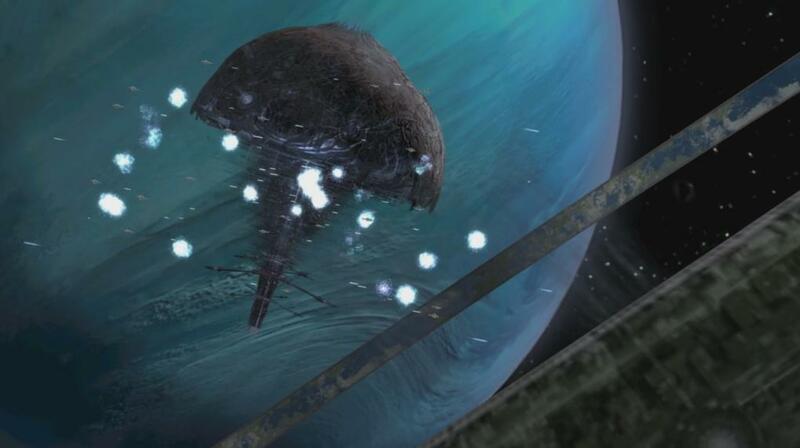 And they certainly displayed this throughout Halo 2. I felt honoured to fight among them. But I should point out that I don’t think of Halo 2 as the single best game of the franchise, but as the best example of storytelling. Reach is obviously better in terms of graphics and Halo 3 changed a lot of things with the inclusion of Forge and Theatre mode and a more refined online experience. I suppose they all have their own good and bad points, but in truth they’re all greatly balanced. But in terms of sheer storytelling power, Halo 2 wins hands down for me. I will concede that Halo 2 had a largely more interesting story than the rest of the franchise. However, it remains the most bloated and oddly paced of all the campaigns simply due to its rushed nature. Add in the fact that Halo 3 did not really capitalize on the huge potential Halo 2’s flawed, yet impressive story had going for it, it acts as an odd duck among a franchise that is now more known for bringing tight, concise storytelling to the games and explaining the more fascinating details through extraneous means, such as books that are more removed from the main story and the various data pads and terminals throughout all the games following the second title. In that way, Halo 3, ODST and Reach were free to stand mostly independent from 2. Even its direct sequel simplified all the ties of the story to make sure that the single player campaign was paced better, hence why Elites take a disappointing backseat following the introduction of one of the cooler Halo characters, the Arbiter. Another reason why I don’t see Halo 2 as being the best (ignoring its interesting, yet half-baked story is that its multiplayer was nearly as rushed as its campaign, with rampant glitches, mods and poor balance. Well that’s just opinion. The storyline as a whole is great and it all ties together somehow. I do have to say my favorite game is the first one, but that may be a personal opinion. Combat Evolved was simply epic, I totally agree. Halo 2’s storyline is like the gooey squidgy mess that holds the universe together. But I’ll never forget the second level of CE — stepping out onto the surface of that beautiful ring of emerald greens and sapphire blue, all highlighted with wispy clouds of white. Simply gorgeous. That moment defines Halo to me. You see, it is the most important. It set the benchmark on how to craft a great story, standardise matchmaking and, obviously, how not to make a game. Not the best, but the most important. Wow . Tremendous article! You made some very good points for a great game and storyline. At first, I didn’t like playing as the arbiter either. But as you said it helps us see who the elites really are. It also seems to make the game more realistic when they give the enemy personality or feelings. Thanks for writing this it was a great read. Love games for their story…gameplay not always at first position. Halo 2 was, in my opinion, the second best game. It kickstarted xbox live into the position it is now, it brought back the campaign that we all loved (I played through halo 2 more than any of the other games). Yes it may have been buggy multiplayer but that sure as hell didnt stop me or thousands of others from playing every night. The story was probably the worst thought out of the 4 but it still was amazing. I wouldn’t change Halo 2 in the slightest. Out of all the Halo games, Halo 2 is my favorite for many, many reasons. Some of which you already stated. I do wish that Microsoft would’ve let Bungie have more time on H2 to perfect it, but all in all I was satisfied with that we got. Halo 3, on the other hand…but that’s another story. H3, on the other hand, to me is the single biggest disappointment I’ve ever experienced in an entertainment product, period. Beyond what I felt was an extremely anti-climactic ending, H3 was rife with face-palmingly bad dialogue, voice-acting, and all around just sloppy, banal writing. Which is amazing to me considering Bungie put out one very good game (ODST), and another phenomenal one (Reach) after H3’s release. Sure, gameplay was the best it had been up until that point in a Halo game, but I’m not a multi-player guy. I play games because I love the idea of inter-active storytelling and to that end H3 was a massively frustrating experience to me and imho an almost offensively poor attempt at capping what WAS an epic sci-fi tale. H3 isn’t just my least favorite in the series, it’s one of my least favorite games EVER. But yet people praise it and tear apart H2??? I thought odst acting was really bad. I didnt find the storyline for Halo 3 to be bad I just thought that the gameplay was bad. I agree with this article. I thought Halo 2 had the most interesting and captivating story of all of the Halo games. I too was underwhelmed by Halo 3’s story and I thought that the dialog was bland and unengaging. The arbiter was practically non-existant as a character in that game after being such an important piece of the story in Halo 2. I felt that perhaps they tried to dumb down the story of Halo 3 to make it more accessible to those not invested in their franchise. But why do that? Perhaps it was pressure from Microsoft do attract more people into the game, but most of these people only played it for the multiplayer. I wish that Halo 3 could have lived up to the level Combat Evolved and Halo 2 had set. As far as Halo Reach…perhaps it’s just me, but I thought it was a boring story that didn’t fit with the canon established in the books. 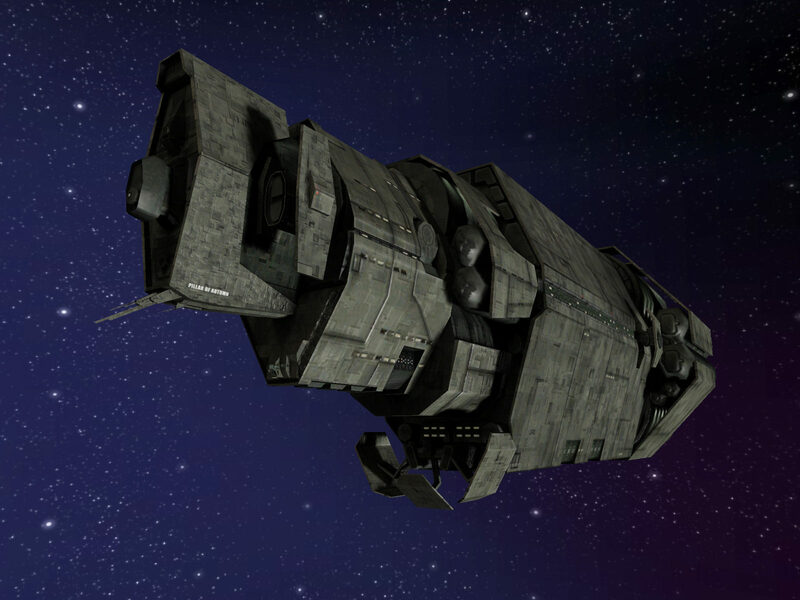 I felt disconnected with every Spartan except for Jorge and I kept playing hoping that somehow they would tie the story back to include the Spartan IIs sent to Reach to defend the orbital MAC power generators. Halo Reach was a big let down for me…I know they didn’t want to retell the same story from the books, but at least make an effort to make it fit. Interesting, because I found Halo 2 to have the worst story (except ODST) in the series. Perhaps because, to me, campaign and story are synomous (wish I could spell that word); you can’t have an engrossing story with a dull campaign environment. While I liked the Arbiter, I didn’t like how the new Covienant species acted, or even the species at all, and as for Giant Plant Poet… Suffice it to say that I felt that H3 did an amazing job of picking up the shattered pieces of Halo’s story, and H2 did little useful. However, I would say that H2’s multiplayer revolutionized Halo multiplayer, and so it was certainly a crucial part of the Halo series.